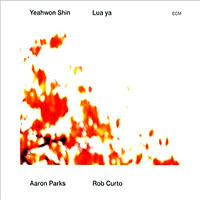 On her debut recording, New York-based Korean singer Yeahwon Shin takes on a demanding set of tunes, mostly based on compositions by Brazilian songwriters Antonio Carlos Jobim, Dorival Caymmi, Egberto Gismonti, Milton Nascimento and Ary Barroso. She opens with "Chovendo Na Roseira" (known in English as "Double Rainbow"), singing in Portuguese with an original arrangement loosely based on the Jobim/Elis Regina version that appeared on Elis & Tom (1974, Verve). She follows that with Nascimento's "Travessia," singing in almost whispered tones that draw focus on the subtle instrumentation. One of the most-beloved Brazilian classics, since debuting internationally in Walt Disney's 1943 cartoon, Watercolors of Brazil, "Aquarela do Brasil" has been recorded by countless artists including Daniela Mercury, Ray Conniff and Gal Costa. Yaehwon gives the song a festive feel, which is enhanced by Scott Kettner and his Maracatu NY ensemble. Shin avoids more obvious Jobim numbers like "Corcovado" and "Desafinado," picking instead lesser-known tunes like "Inutil Paisagem" ("If You Never Come To Me") and "Eu Nao Existo Sem Voce," which give her the freedom to be more creative, while inviting fewer comparisons with other artists. She delivers a very personal performance on the latter, and pianist Alan Yavnai contributes a beautiful solo that further enhances the recording by leading to a crescendo that reveals Shin's broader vocal range. The sole Korean tune on the disc is "Sae Ya Sae Ya," a traditional number made popular during the Japanese occupation of Shin's native country. Tenor saxophonist Mark Turner makes a special appearance here, taking the tune to more contemporary jazz territory, playing against Shin's vocals with a flurry of notes that lead into an up-tempo take on Jobim's "Dindi." One of the disc's highlights is "Memoria e Fado," a tune which features its composer, pianist Egberto Gismonti. Percussionist Cyro Baptista adds pandeiro to Gismonti's classically-inspired solo, while Shin does vocal call-and-response with Brazilian singer Valtinho Anastacio; a goose bump-inducing performance that closes a remarkable disc with a golden touch. Track Listing: Chovendo Na Roseira; Travessia; Aquarela do Brasil; Eu Nao Existo Sem Voce; Rosa Morena; Sae Ya Sae Ya; Dindi; Palhaco; Inutil Paisagem ; Na Baixa do Sapateiro; Memoria e Fado. Personnel: Yeahwon Shin: vocals, clapping and arrangements; Alan Yavnai: piano; Ben Street: bass; Jeff Ballard: drums and clapping ; Sun Chung: guitar; Valtinho Anastacio: vocals; Rob Curto: accordion and clapping; Scott Kettner: percussion and clapping ; Cyro Baptista: percussion; Mark Turner: tenor saxophone (6); Kevin Hays: piano (9); Egberto Gismonti: piano (11); Joao Guimaraes: clapping; Eli Wing: percussion; Eduardo Guedes: percussion; Ron Caswell: percussion; Nic Cowles: flute; Tucker Antell: tenor saxophone; Christof Knoche: bass clarinet; Jonathan Powell: trumpet; Joe Beatty: piano; Andy Hunter: piano.